Dental implants benefits the patient with a stable foundation for permanent and temporary replacement teeth. 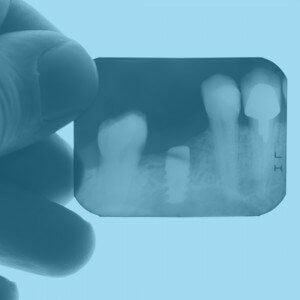 Sudden injury resulting in tooth loss could be corrected through surgery. Common causes of tooth loss requiring dental implants include tooth decay and gingivitis. Our patients come from all age groups. Once the patient has passed the point of puberty the jawbone has reached full growth. He or she is ready for a dental implant. This typically occurs around the age of 16 for girls and 18 for boys. What Happens During a Dental Implant Procedure?During a dental implant procedure, a tapered cylinder made of titanium is placed in the jawbone. Over time, it fuses with your natural bone to create a solid, sturdy foundation for your new replacement tooth. The crown replaces the tooth that is then attached to the implant. The crown is custom built to match your natural teeth. Dental implants keep the healthy teeth healthy! A common solution to damaged teeth is the use of a dental bridge, but in this practice, the teeth surrounding the empty space of the missing tooth are often altered or damaged. Dental implants benefits by never compromising the health of surrounding teeth. It corrects the problem without compromising your healthy teeth. Delray Beach Dental Implants BenefitsIn the past, dental implants lasted around 7-10 years with diligent care and maintenance. Modern dental implants benefits a patience for a lifetime. Only limited adjustments required along the way. The dental implant procedure is the closest you can get to a full restoration of healthy and natural teeth. Continue to enjoy showing off that beautiful smile and eating with confidence and ease. Call our office at (561) 272-8555 for a free consultation in order to learn more about dental implants benefits. Dr. McCauley and our staff are here to answer any questions you may have.